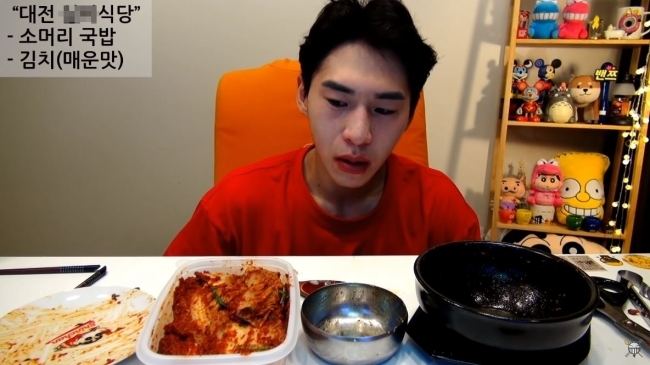 It seems like the ordinary level of spiciness of conventional kimchi is not satisfying enough for some YouTubers in Korea. 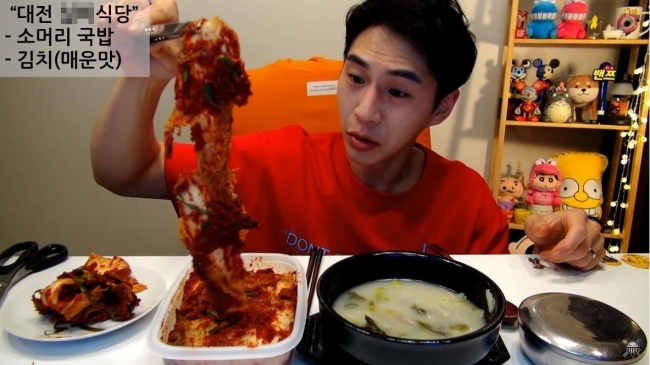 Many prominent meokbang (eating show) creators are taking on the challenge of extra-spicy kimchi -- the kind that makes your eyes water. For instance, the “spiciest kimchi in the country” offered by a restaurant in Daejeon. The place earned the title after it was introduced by the TV show “Baek Jong-won’s Top 3 Chef King” in 2016. 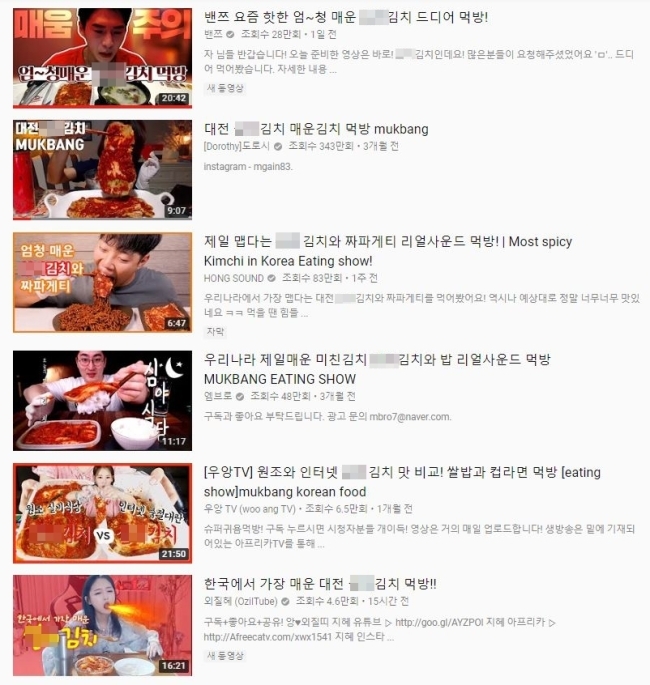 A search of the keyword “kimchi” with the restaurant’s name yielded nearly 100 meokbang YouTube videos featuring the creators enjoying -- or often crying over -- the unbearable spiciness of that particular kimchi. 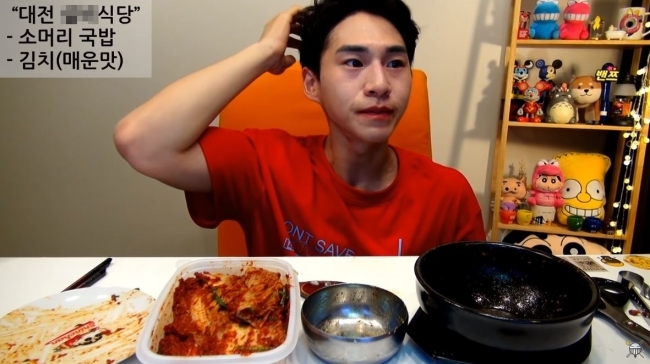 Banzz, one of the most popular meokbang YouTubers in Korea, also took on the challenge in a show Monday. Under the title “Eating the extremely hot kimchi that is popular these days,” the creator tried finishing a bowl of Korean beef soup with the kimchi. “It tastes like an unsweetened version of freshly made kimchi. It’s not that spicy so far,” Banzz said after trying two big pieces of the kimchi. At the end of the show, however, he couldn’t even finish speaking and shed tears. To soothe the burning sensation, Banzz cut the fermented cabbage into small pieces and put them into the beef soup. He also tried mixing the kimchi with canned tuna and mayonnaise, but that didn’t help him with the intense flavor. “This is the spiciest food I’ve tried,” said Banzz, whose video garnered over 160,000 views in 20 hours. Another challenger was YouTube creator Dorothy, who has made a name for herself by eating spicy food. “Can you see the red pepper powder covering the cabbage?” Dorothy asked. After having a bite, she expressed satisfaction over the rich flavor of the kimchi. Without sweating or crying, she finished an entire package of the kimchi with a bowl of rice. A comment on the video that said “I knew she would easily finish the kimchi” received more than 280 likes from viewers. 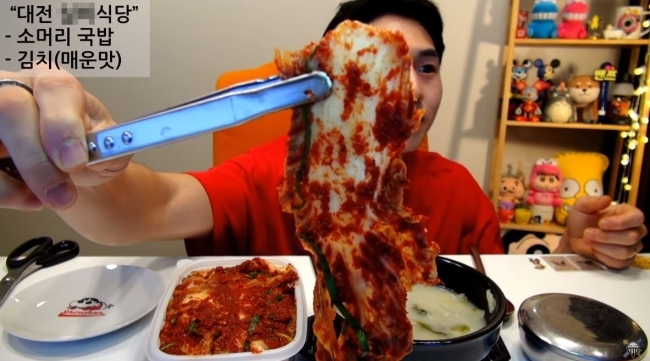 The video of Dorothy eating kimchi amassed more than 3.4 million views in three months.